by Jiggs Whigham. 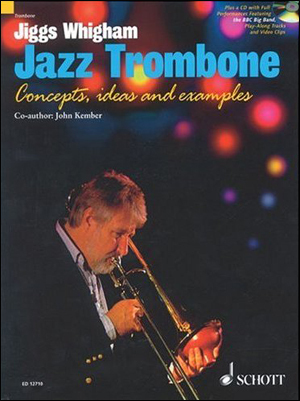 An inspirational guide to playing jazz trombone! 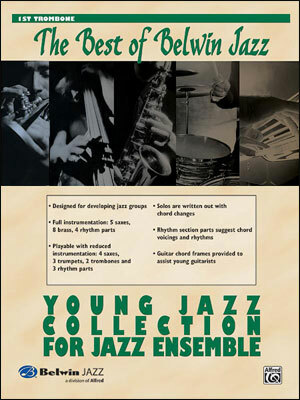 The accompanying CD features play-along tracks of the solos, video clips of the techniques (including articulation and building your range) plus full performances by the BBC Big Band. 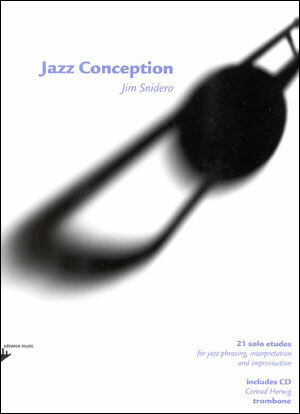 The book is packed full of concepts, ideas and examples about practising, improvising, using scales, developing technique AND written solos in the styles of Miller, Kenton, Basie and Dorsey big bands. For all serious trombonists. 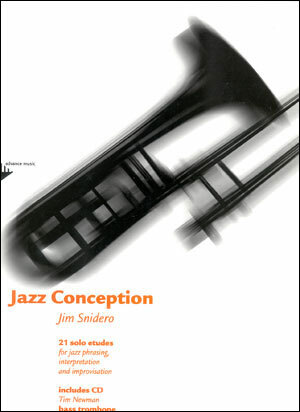 “Jiggs has performed as a soloist with the BBC Big Band for more than 25 years and since 2000 has been its director. 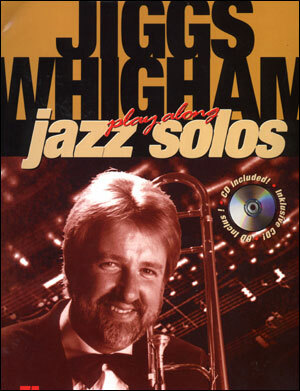 The book is full of interesting facts about jazz trombone as seen through the eyes of the great Jiggs Whigham. 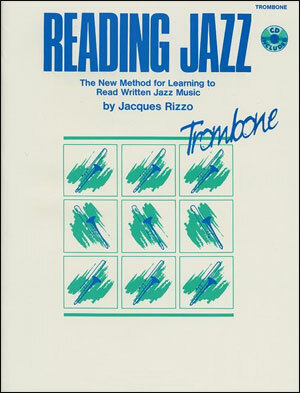 The book at first glance may appear to be all you need to know about playing trombone. In realityit is about developing the technical skills whch allow the performer to be free to serve the music. 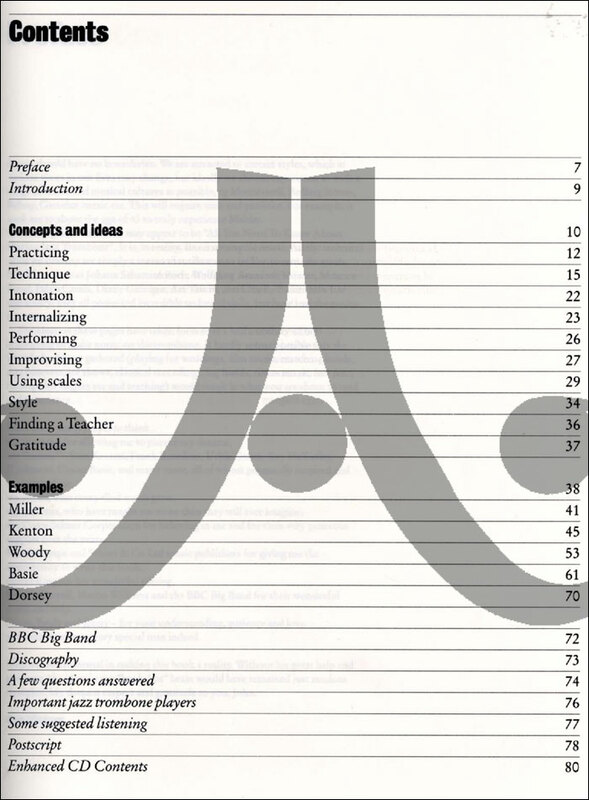 The book is divided into different sections, the first being ‘Concepts and Ideas’. Here can be found useful tips on practice methods and technical development, complete with examples to work on. 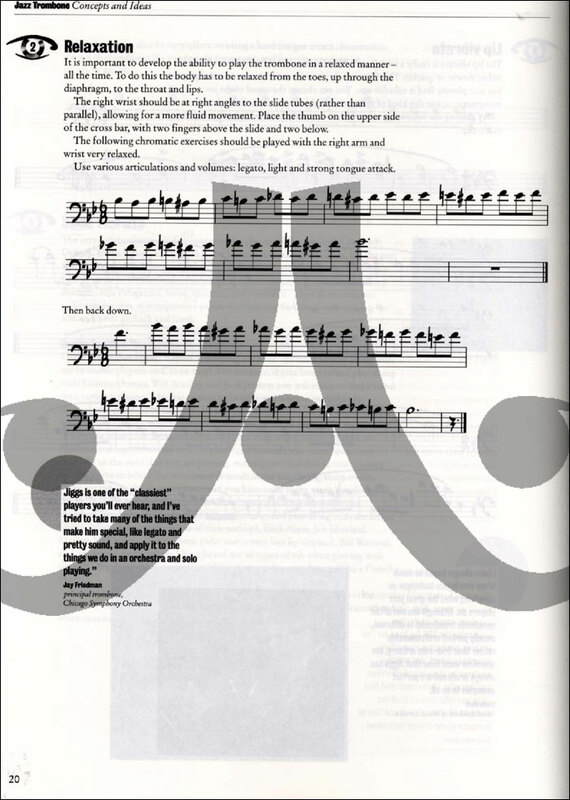 There is even a section on scales and how to develop them in blues progressions, mixing scales and arpeggios. The middle section is entitled ‘Examples’. 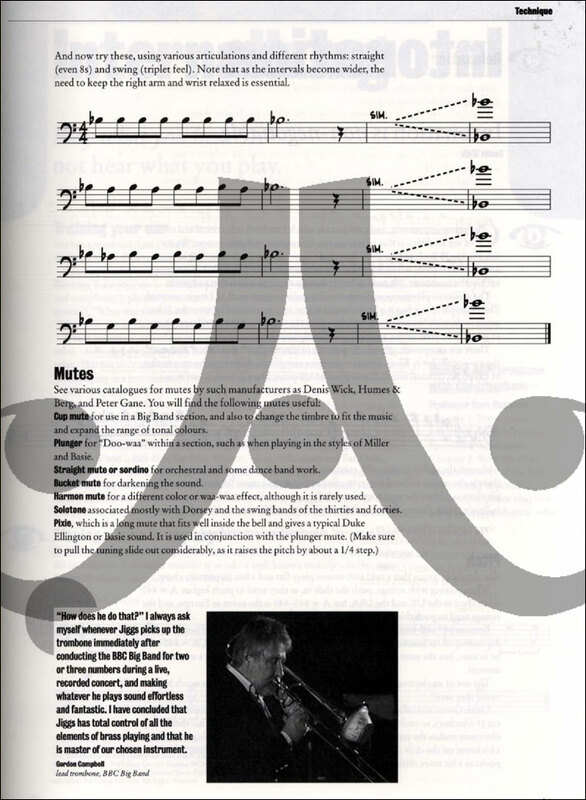 Using different styles and the play-along CD, the performer can follow what Jiggs is playing and emulate him. 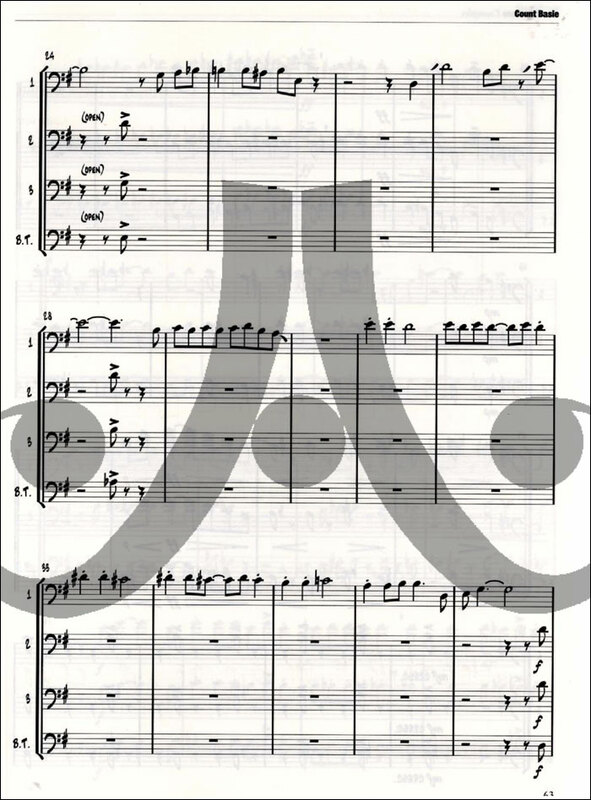 There are also trombone-quartet examples that can be played along to. 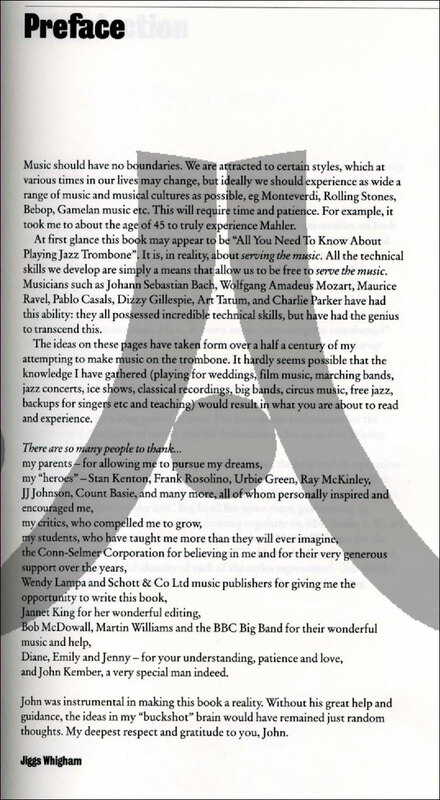 The final part of the book has an interview session with Jiggs and other useful information. 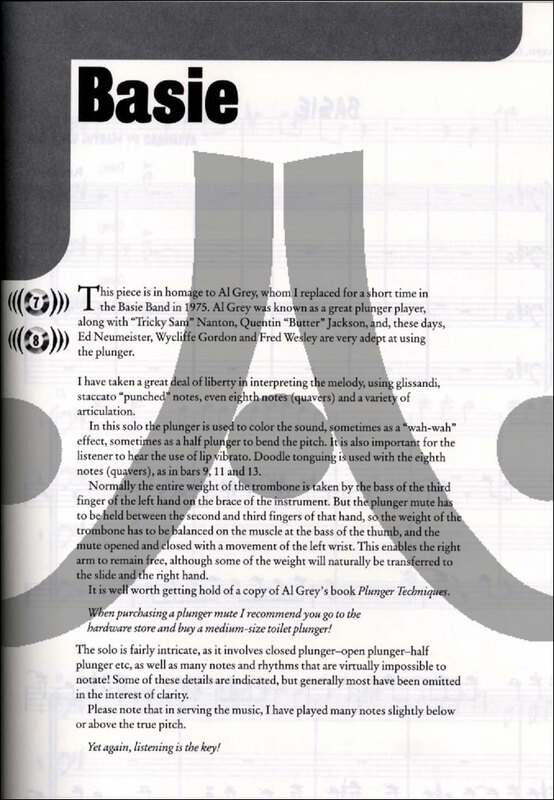 Included on the CD are short video clips of various technical exercises performed by Jiggs. This really is a bonus – it is like having a private lesson with the master himself. 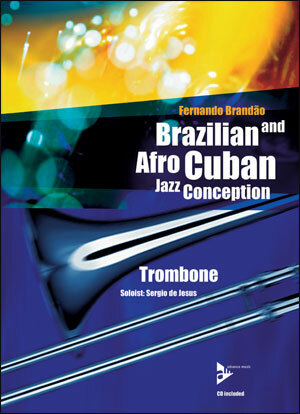 This is without doubt one of the best books on jazz trombone I have had the pleasure to look at. 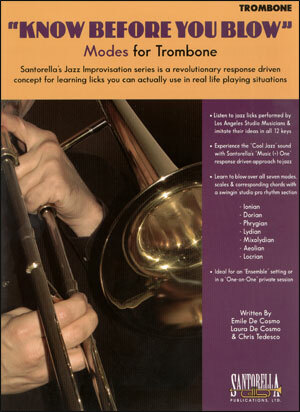 I highly recommend it, not only to jazz practicioners but also to anybody who strives to be a trombonist."